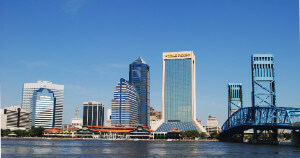 To travel around Jacksonville hire our party bus service. Most people who come here for work and travel in groups find it convenient to book a ride with us. Our agency specializes in offering different kinds of limos and luxury coaches for hire. If you wish to simply charter a ride to and from the nearby airport, we have affordable shuttle coaches or charter buses that suit such travel needs. We also offer luxury limos for hire that are great for weddings and for special date nights about town. Our party bus rental Jacksonville is convenient to book for. You can find our portal online for placing bookings or through the phone lines we make available. It is best that you know the number of passengers traveling at the time of placing a booking. For instance, if you are hiring a ride to the airport, let us know the time when you want a pickup or drop arranged number of seats required and any special amenities you want on board. We have a range of coaches for hire. These comprise of party buses, shuttle coaches, motor coaches, charter buses and others. Get the perfect ride to and from the nearby airport in a ride that accommodates the number of people traveling, which can range from 14 to 50. Our limo service Jacksonville has a range of luxury limos and sedans on offer. These can be perfect rides for top executives when they wish to be transported to and from the airport in luxury. Take your pick from models like the Cadillac Escalade, Hummer Limos, Ford Excursion, Mercedes Benz, Chrysler 300, Lexus, BMW and others. Our limos and sedans are popular choices for special dates and wedding rides as well. Take your choice of a model of a limo or a shuttle bus when you need to accommodate 2 to 14 people at the most. If you wish to make a booking for an airport shuttle or transfer, check the prices we offer on shuttle coaches and other charter buses. Even limos of our agency come at attractive discounts that make premier rides affordable. If you wish to book rides in bulk, we can get you special deals as well. Get in touch with us today if you wish to book among travel packages that we have for tourists who are new to the region. Jacksonville Zoo And Garden – this is a popular place that is a must visit for families and kids. The Cummer Museum – a popular museum in the area, the artifacts and exhibits make it a tourist attraction here. The Talbot Island State Park – this bay area with natural landscapes is a great weekend destination for travelers. Besides traveling to and from the nearby Jacksonville International airport, you can also travel to and from nearby cities and towns with our rides like Saint Marys, Fernandina Beach, Lake City, Gainesville, Orange Park, Atlantic Beach, Palatka and others.